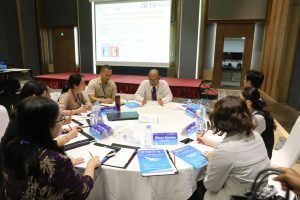 Driven by a common goal to develop health professional capacity and foster collaborative cancer prevention research and activities across the China-ASEAN regions, the “National Cancer Center/Cancer Academy of Medical Sciences (CICAMS) and IARC established a Joint Cancer Prevention and Control Training Program in 2017. Following the success of the first blended training course in Shenzhen in October 2017, the second “CHINA-ASEAN Cancer Prevention & Control” training program was held in 2018. 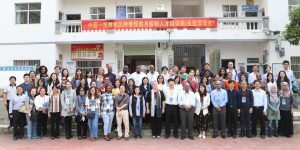 After completing a 2-month online session, the 28 selected participants from China, ASEAN and non ASEAN countries, 14 observers from Chile and Zimbabwe and local and international experts met in Nanning on 5-9 November 2018. 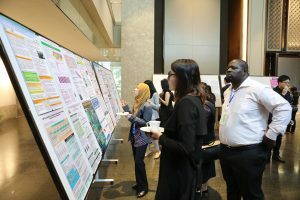 During the five days, experience and knowledge in planning and implementing effective cancer control programs were shared and discussed, with a strong focus on practical applications, demonstration and interaction between participants and experts.